Juliet went through an Elmer the Elephant phase. Several times. Day after day, nap, bedtime, and just because, Jules wanted to read various Elmer books. And then I got the bright idea to make an Elmer with her. Game on. For months afterwards I had to maintain a stash of colored squares and be prepared to freehand cut out an elephant on a moment's notice because this quickly became Juliet's favorite art activity. Even Jack got in on the Elmer making with Jules. This also works as a great independent activity that you can set up supplies in a Tupperware container or Ziploc and have ready to go or leave out at a work space for the kids. 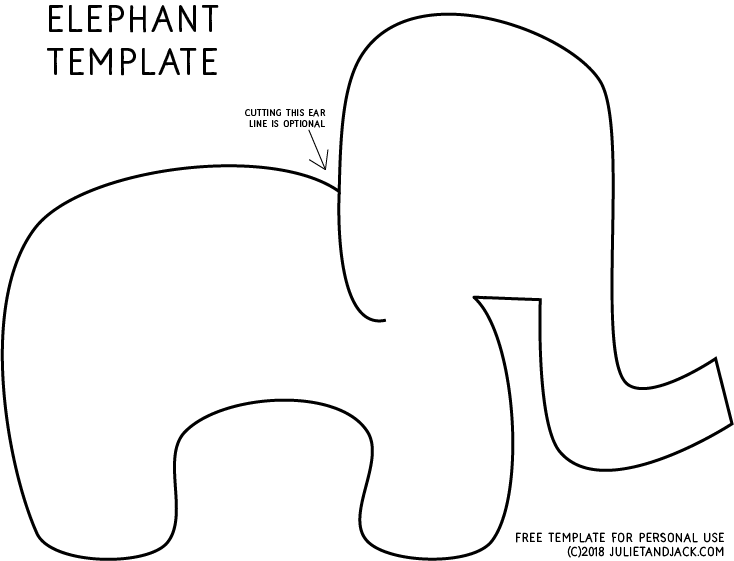 Download and print the elephant template directly onto the white card stock and cut out with scissors -or- Print template onto computer paper, cut out, and trace your elephant onto thin paper or cardboard material of your choice. Cut colored paper into 2" squares. (A paper cutter makes this go sooo much quicker, but you can always wing it freehand with scissors as well. Turn the kiddos loose with a pile of colored squares, a glue stick, and their elephant! Sign up with your email address to receive updates and other fun stuff! We respect your privacy and share your dislike of spam! YAY! We’re so happy you’re joining us! Please check your email to confirm your subscription. If you don’t see an email, please check your spam folder.